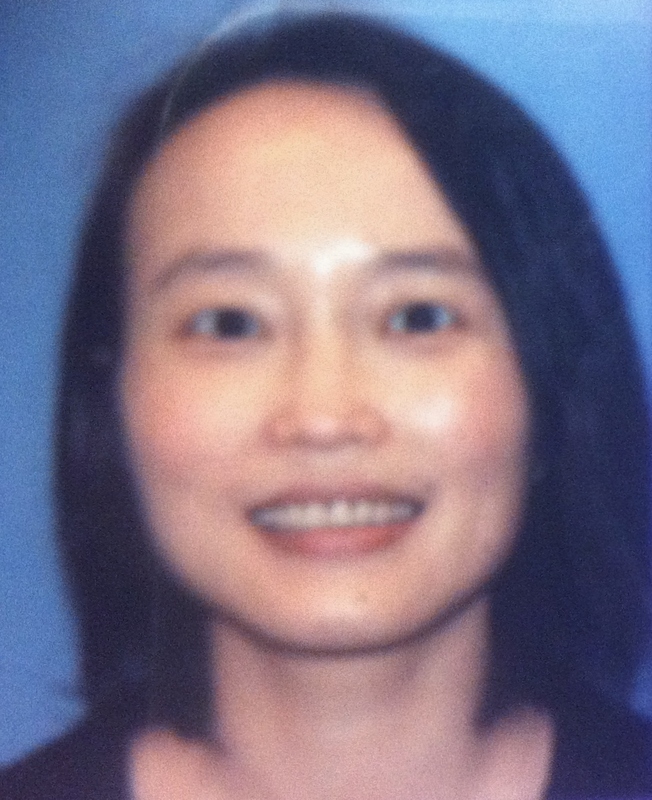 Min Chen, Ph.D., is an Associate Professor in Computing and Software Systems Division, School of STEM at University of Washington Bothell. Prior to coming to UW Bothell, she was a tenured associate professor at the Department of Computer Science, University of Montana. Her research interests include distributed multimedia database systems, data mining and their applications on real life problems and interdisciplinary projects. She has published more than 60 refereed papers in international journals, book chapters, and conference proceedings. She received the best paper award from 2014 IEEE International Conference on Information Reuse and Integration and IGI Global annual excellence in research journal award. Dr. Chen is currently serving as the secretary and newsletter editor for IEEE Computer Society Technical Committee on Multimedia Computing, a voting member on the IEEE ICME Steering Committee, and the program co-chair for 2017 IEEE International Conference on Multimedia Big Data. She was the lead program chair for 2015 IEEE International Symposium on Multimedia and has served on more than 10 organization committees and 60 program committees of major conferences and workshops in multimedia and database systems. Min Chen and Anusha Prabakaran, "Credibility Analysis for Online Product Reviews," International Journal of Multimedia Data Engineering and Management, accept for publication. Yimin Yang, Samira Pouyanfar, Haiman Tian, Min Chen, Shu-Ching Chen, and Mei-Ling Shyu, "IF-MCA: Importance Factor-based Multiple Correspondence Analysis for Multimedia Data Analytics," IEEE Transactions on Multimedia, vol. 20, no. 4, pp. 1024-1032, 2018. Min Chen, Yang Lei, Leonel Sousa, and Yao Zhao, "Multimedia Big Data: Leveraging Synergy between Multimedia Computing and Big Data Analytics," International Journal of Semantic Computing, vol. 12, no. 2, pp. 187-190, 2018. Yilin Yan, Min Chen, Muhammad Sadiq, and Mei-Ling Shyu, "Efficient Imbalanced Multimedia Concept Retrieval by Deep Learning on Spark Clusters," International Journal of Multimedia Data Engineering and Management, vol. 8, no. 1, pp. 1-120, 2017. Yonghong Tian, Min Chen, and Leonel Sousa, "Ubiquitous Multimedia: Emerging Research on Multimedia Computing," IEEE MultiMedia, vol. 23, no. 2, pp. 12-15, 2016. Min Chen, Leonel Sousa, and Yonghong Tian, "Multimedia Computing: Challenges and Opportunities," International Journal of Semantic Computing, vol. 10, no. 1, pp. 1-4, 2016. Zibo Meng, Shizhong Han, Min Chen, and Yan Tong, "Audiovisual Facial Action Unit Recognition using Feature Level Fusion," International Journal of Multimedia Data Engineering and Management, vol. 7, no. 1, pp. 60-77, 2016. Dianting Liu, Yilin Yan, Mei-Ling Shyu, Guiru Zhao, and Min Chen, "Spatio-temporal Analysis for Human Action Detection and Recognition in Uncontrolled Environments," International Journal of Multimedia Data Engineering and Management, vol. 6, no. 1, pp. 1-18, 2015. Min Chen, "A Hierarchical Security Model for Multimedia Big Data," International Journal of Multimedia Data Engineering and Management, vol. 5, no. 1, pp. 1-13, 2014. Min Chen, Hongli Luo, Chengcui Zhang, "Multimedia Semantic Computing," International Journal of Multimedia Data Engineering and Management (IJMDEM), vol. 2, no. 2, pp. 1-4, 2011. Shu-Ching Chen, Min Chen, Na Zhao, Shahid Hamid, Kasturi Chatterjee, and Michael Armella, "Florida Public Hurricane Loss Model: Research in Multi-Disciplinary System Integration Assisting Government Policy Making," Special Issue on Building the Next Generation Infrastructure for Digital Government, Government Information Quarterly, vol. 26, no. 2, pp. 285-294, 2009. Mei-Ling Shyu, Zongxing Xie, Min Chen, Shu-Ching Chen, "Video Semantic Event/Concept Detection Using a Subspace-Based Multimedia Data Mining Framework," IEEE Transactions on Multimedia, Special Issue on Multimedia Data Mining, vol. 10, no. 2, pp. 252-259, 2008. Mei-Ling Shyu, Shu-Ching Chen, Min Chen, Chengcui Zhang, and Kanoksri Sarinnapakorn, "Capturing High-Level Image Concepts via Affinity Relationships in Image Database Retrieval," International Journal of Multimedia Tools and Applications, vol. 32, no. 1, pp. 73-92, 2007. Chengcui Zhang, Xin Chen, Shu-Ching Chen and Min Chen, "LMS -- A Long Term Knowledge-Based Multimedia Retrieval System for Region-Based Image Databases," International Journal of Applied Systemic Studies, vol. 1, no. 4, pp. 416-435, 2007. Min Chen, Shu-Ching Chen, Mei-Ling Shyu, and Kasun Wickramaratna, "Semantic Event Detection via Temporal Analysis and Multimodal Data Mining," IEEE Signal Processing Magazine, Special Issue on Semantic Retrieval of Multimedia, vol. 23, no. 2, pp. 38-46, 2006. Mei-Ling Shyu, Shu-Ching Chen, Min Chen, Chengcui Zhang, and Chi-Min Shu, "Probabilistic Semantic Network-based Image Retrieval Using MMM and Relevance Feedback," International Journal of Multimedia Tools and Applications, vol. 30, no. 2, pp. 131-147, 2006. Shu-Ching Chen, Mei-Ling Shyu, Chengcui Zhang and Min Chen, "A Multimodal Data Mining Framework for Soccer Goal Detection Based on Decision Tree Logic," International Journal of Computer Applications in Technology, vol. 27, no. 4, pp. 312-323, 2006. Anusha Prabakaran and Min Chen, "Product Review Credibility Analysis," 2019 International Workshop on Computing, Networking and Communications (CNC), accepted for publication. Mizuki Miyashita, Min Chen, James Randall, and Mitchell Lee, "Melodic Transcription in Language Documentation and Application (MeTILDA): Automated Pitch Movements with Standardized F0 Perceptual Intervals," 6th International Conference on Language Documentation & Conservation, 2019, accepted for publication. Saranya Krishnan and Min Chen, "Identifying Tweets with Fake News," IEEE International Conference on Information Reuse and Integration, pp. 460-464, 2018. Archana Dhere and Min Chen, "Cloud-Based Tools for Endangered Language Documentation and Analysis," IEEE 20th International Workshop on Multimedia Signal Processing, no. 132, 2018. Zibo Meng, Xiaochuan Fan, Xin Chen, Min Chen, and Yan Tong, "Detecting Small Signs from Large Images," Proceedings of IEEE International Conference on Information Reuse and Integration, pp. 217-224, 2017. Sneha Vasisht and Min Chen, "Video-based People Tracking," Proceedings of IEEE International Conference on Multimedia Big Data, pp. 240-241, 2017. Abirami Ramanathan and Min Chen, "Spatiotemporal Vehicle Tracking, Counting and Classification," Proceedings of IEEE International Conference on Multimedia Big Data, pp. 246-247, 2017. Ashik Samad, Kevin Wu, and Min Chen, "Cloud-Based Web Services for Endangered Language Analysis," Proceedings of IEEE International Conference on Information Reuse and Integration, pp. 226-232, 2016. Shalini Ramachandra, Min Chen, David Socha, "Laughter Detection Using Data Mining and Human Feedback," Proceedings of the 7th IEEE International Conference on Software Engineering and Service Science, pp. 25-28, 2016. Aparajita Sahay and Min Chen, "Leaf Analysis for Plant Recognition," Proceedings of the 7th IEEE International Conference on Software Engineering and Service Science, pp. 914-917, 2016. Zibo Meng, Shizhong Han, Min Chen, and Yan Tong, "Feature Level Fusion for Bimodal Facial Action Unit Recognition," Proceedings of IEEE International Symposium on Multimedia, pp. 471-476, 2015. Yilin Yan, Min Chen, Mei-Ling Shyu, and Shu-Ching Chen, "Deep Learning for Imbalanced Multimedia Data Classification," Proceedings of IEEE International Symposium on Multimedia, pp. 483-488, 2015. Sheng Guan, Min Chen, Hsin-Yu Ha, Shu-Ching Chen, Mei-Ling Shyu, and Chengde Zhang, "Deep Learning with MCA-based Instance Selection and Bootstrapping for Imbalanced Data Classification," Proceedings of 2015 IEEE Conference on Collaboration and Internet Computing, pp. 288 - 295, 2015. Mizuki Miyashita and Min Chen, "Audio Data Processing for Phonetics and Phonology in Blackfoot," Preceedings of International Conference on Salish and Neighbouring Languages (ICSNL), 50, University of British Columbia Working Papers in Linguistics 40, Natalie Weber, Erin Guntly, Zoe Lam and Sihwei Chen (eds. ), Aug. 5-7, 2015. Min Chen, Mizuki Miyashita, Robert Bezirganyan, Jingjing Dong, "Endangered Language Sound Documentation and Audio Processing in the Cloud," International Conference on Language Documentation and Conservation, Feb. 26-Mar. 1, 2015. Hsin-Yu Ha, Shu-Ching Chen, and Min Chen, "FC-MST: Feature Correlation Maximum Spanning Tree for Multimedia Concept Classification," Proceedings of the IEEE International Conference on Semantic Computing, pp. 276-283, Feb. 3-5, 2015. Hsin-Yu Ha, Fausto C. Fleites, Shu-Ching Chen, and Min Chen, "Correlation-based Re-ranking for Semantic Concept Detection," Proceedings of the 15th IEEE International Conference on Information Reuse and Integration, pp. 765-770, 2014. Yilin Yan, Yang Liu, Mei-Ling Shyu, and Min Chen, "Utilizing Concept Correlations for Effective Imbalanced Data Classification," Proceedings of the 15th IEEE International Conference on Information Reuse and Integration, pp. 561-568, 2014. (acceptance rate: 25%, Best Paper award). Min Chen, "Video Event Detection Based on Temporal Pattern Analysis," Edited by Z. Qian et al, Recent Advances in Computer Science and Information Engineering, pp. 123-128, 2012. Min Chen and Mizuki Miyashita, "Audio Classification for Blackfoot Language Analysis," Edited by Z. Qian et al, Recent Advances in Computer Science and Information Engineering, pp. 371-376, 2012. Min Chen, Mizuki Miyashita, Beau Ufen, Bradley Bahls and Tyler Julian, "A Multimedia Scripting System for Endangered Language Learning," Proceedings of Second Workshop on Story-Telling and Educational Games, vol. 498, 2009. Shu-Ching Chen, Mei-Ling Shyu, Min Chen, "An Effective Multi-Concept Classifier for Video Streams," Proceedings of IEEE International Conference on Semantic Computing, pp. 80-87, 2008. Na Zhao, Min Chen, Shu-Ching Chen, and Mei-Ling Shyu, "MRBAC: Hierarchical Role Management and Security Access Control for Distributed Multimedia Systems," Proceedings of IEEE International Symposium on Object/Component/Service-oriented Real-time Distributed Computing, pp. 76-82, 2008, 2008. Shu-Ching Chen, Min Chen, Na Zhao, Shahid Hamid, Khalid Saleem, Kasturi Chatterjee, "Florida Public Hurricane Loss Model (FPHLM): Research Experience in System Integration," Proceedings of the 9th Annual International Conference on Digital Government Research, pp. 99-106, 2008. Min Chen, Chengcui Zhang, and Shu-Ching Chen, "Semantic Event Extraction Using Neural Network Ensembles," Proceedings of the International Workshop on Semantic Computing and Multimedia Systems, in conjunction with First IEEE International Conference on Semantic Computing (IEEE ICSC2007), pp. 575-580, September, 2007. Min Chen, Shu-Ching Chen, Mei-Ling Shyu, "Hierarchical Temporal Association Mining for Video Event Detection in Video Databases," accepted for publication, The Second IEEE International Workshop on Multimedia Databases and Data Management (MDDM'07), in conjunction with IEEE International Conference on Data Engineering (ICDE2007), Istanbul, Turkey, April 2007. Shu-Ching Chen, Min Chen, Chengcui Zhang, and Mei-Ling Shyu, "Exciting Event Detection using Multi-level Multimodal Descriptors and Data Classification," accepted for publication, IEEE International Symposium on Multimedia (ISM2006), December 11-13, 2006, San Diego, CA, USA. Kasturi Chatterjee, Khalid Saleem, Na Zhao, Min Chen, Shu-Ching Chen, and Shahid Hamid, "Modeling Methodology for Component Reuse and System Integration for Hurricane Loss Projection Application," accepted for publication, The 2006 IEEE International Conference on Information Reuse and Integration (IEEE IRI-2006), September 16-18, 2006, Hawaii, USA. Kasun Wickramaratna, Min Chen, Shu-Ching Chen, and Mei-Ling Shyu, "Neural Network Based Framework for Goal Event Detection in Soccer Videos," IEEE International Symposium on Multimedia (ISM 2005), pp. 21-28, December 12-14, 2005, Irvine, California, USA. Xin Chen, Chengcui Zhang, Shu-Ching Chen, and Min Chen, "A Latent Semantic Indexing Based Method for Solving Multiple Instance Learning Problem in Region-based Image Retrieval," IEEE International Symposium on Multimedia (ISM 2005), pp. 37-44. December 12-14, 2005, Irvine, California, USA. Chengcui Zhang, Xin Chen, Min Chen, Shu-Ching Chen, and Mei-Ling Shyu, "A Multiple Instance Learning Approach for Content Based Image Retrieval Using One-Class Support Vector Machine," Proceedings of the IEEE International Conference on Multimedia & Expo (ICME), July 6-8, 2005, Amsterdam, The Netherlands. Mei-Ling Shyu, Shu-Ching Chen, Min Chen, and Stuart H. Rubin, "Affinity-Based Similarity Measure for Web Document Clustering," Proceedings of the 2004 IEEE International Conference on Information Reuse and Integration (IRI'2004), pp. 247-252, November 8-10, 2004, Las Vegas, Nevada, USA. Mei-Ling Shyu, Shu-Ching Chen, Min Chen, and Chengcui Zhang, "A Unified Framework for Image Database Clustering and Content-based Retrieval," Proceedings of the Second ACM International Workshop on Multimedia Databases (ACM MMDB 2004), pp. 19-27, November 13, 2004, Arlington, VA, USA. Mei-Ling Shyu, Shu-Ching Chen, Min Chen, and Chengcui Zhang, "Affinity Relation Discovery in Image Database Clustering and Content-based Retrieval," Proceedings of ACM Multimedia 2004 Conference, pp. 372-375, October 10-16, New York, USA. Shu-Ching Chen, Shahid Hamid, Sneh Gulati, Na Zhao, Min Chen, Chengcui Zhang, and Paresh Gupta, "A Reliable Web-based System for Hurricane Analysis and Simulation," Proceedings of IEEE International Conference on Systems, Man and Cybernetics 2004, pp. 5215-5220, October 10-13, 2004, Hague, The Netherlands. Shu-Ching Chen, Mei-Ling Shyu, Min Chen, and Chengcui Zhang, "A Decision Tree-based Multimodal Data Mining Framework for Soccer Goal Detection," Proceedings of IEEE International Conference on Multimedia and Expo (ICME 2004), Vol. 1, pp. 265-268, June 27 - June 30, 2004, Taipei, Taiwan, R.O.C. Mei-Ling Shyu, Shu-Ching Chen, Min Chen, Chengcui Zhang, and Chi-Min Shu, "MMM: A Stochastic Mechanism for Image Database Queries," Proceedings of the IEEE Fifth International Symposium on Multimedia Software Engineering (MSE2003), pp. 188-195, December 10-12, 2003, Taichung, Taiwan, ROC. Mei-Ling Shyu, Shu-Ching Chen, Min Chen, Chengcui Zhang, Kanoksri Sarinnapakorn, "Image Database Retrieval Utilizing Affinity Relationships," Proceedings of the First ACM International Workshop on Multimedia Databases (ACM MMDB'03), pp. 78-85, November 7, 2003, New Orleans, Louisiana, USA. Shu-Ching Chen, Mei-Ling Shyu, Chengcui Zhang, Lin Luo, Min Chen, "Detection of Soccer Goal Shots Using Joint Multimedia Features and Classification Rules," Proceedings of the Fourth International Workshop on Multimedia Data Mining (MDM/KDD2003), in conjunction with the ACM SIGKDD International Conference on Knowledge Discovery & Data Mining, pp. 36-44, August 24-27, 2003, Washington, DC, USA. Shu-Ching Chen, Keqi Zhang, Min Chen, "A Real-Time 3D Animation Environment for Storm Surge," Proceedings of the IEEE International Conference on Multimedia & Expo (ICME), vol. I, pp. 705-708, July 6-9, 2003, Baltimore, MD, USA. Min Chen, "Temporal-based Video Event Detection and Retrieval," Edited by C.-H. Wei and Y. Li, Machine Learning Techniques for Adaptive Multimedia Retrieval: Technologies Applications and Perspectives, IGI Global, 2011, ISBN: 978-1-61692-859-9. Min Chen, Shu-Ching Chen, and Mei-Ling Shyu,"Content-based Retrieval of Video," Edited by P. Sheu, H. Yu, C.V. Ramamoorthy, A. Joshi, and L. Zadeh, Semantic Computing, IEEE Press/Wiley, 2010, ISBN: 978-0-470-46495-3. Na Zhao, Min Chen, Shu-Ching Chen, and Mei-Ling Shyu, "User Adaptive Video Retrieval on Mobile Devices," Edited by Laurence T. Yang, Agustinus Borgy Waluyo, Jianhua Ma, Ling Tan and and Bala Srinivasan, Mobile Intelligence: When Computational Intelligence Meets Mobile Paradigm, John Wiley & Sons Inc, 2010, ISBN: 978-0-47019-555-0. Min Chen, Shu-Ching Chen, Mei-Ling Shyu, and Chengcui Zhang, "Video Event Mining via Multimodal Content Analysis and Classification," Edited by Valery A. Petrushin and Latifur Khan, Multimedia Data Mining and Knowledge Discovery, Springer Verlag, 2007, ISBN: 978-1-84628-436-6. Min Chen and Shu-Ching Chen, "MMIR: An Advanced Content-based Image Retrieval System using a Hierarchical Learning Framework," Edited by Du Zhang and Jeffrey Tsai, Advances in Machine Learning Application in Software Engineering, Idea Group Publishing, 2006, ISBN: 1-59140-941-1. CSS Graduate Research Support, University of Washington Bothell, 2016, $5,000. TCL Research America award, $35,000, 2015. Subcontract PI, "Florida Public Hurricane Loss Model," Florida Office of Insurance Regulation/Florida International University, 9/2014 - 6/2015, $15,000 (Grant PI: Shahid Hamid). PI, Google Cloud Platform Credit award, 8/2014 - 7/2015, $10,000. PI, "Endangered Language Documentation and Analysis in the Cloud," Microsoft Azure Research Award, 7/2014 - 6/2015, $40,000. CSS Research Award, University of Washington Bothell, 5/2014 - 8/2014, $9,000. Subcontract PI, "Smoking Cessation in College Fraternities and Sororities," National Cancer Institute/Public and Community Health Sciences, 10/2009-4/2011, $210,963 (Grant PI: Kari Harris). Co-PI, "Computer-Based Data Processing and Management for Blackfoot Phonetics and Phonology," National Endowment for the Humanities, 09/2009-7/2011, $24,999 (PI: Mizuki Miyashita). Consultant, "Hurricane Loss Project Model," Florida Office of Insurance Regulation, $2.26 million, 07/2007-05/2009, (Grant PI: Shahid Hamid). Case-based curriculum development award, sponsored by Howard Hughes Medical Institute, 2009. Travel grant, funded by NSF, to attended the Coalition to Diversify Computing.s Academic Career Workshop for Underrepresented Participants, 2009. UM PACE Visiting Scholar/Mentor Program Award, sponsored by the National Science Foundation, 2008. The Eighth Annual Excellence in Research Journal Award - outstanding Media and Communications article for 2015, IGI Global, August 2016. Best Paper Award, The 15th IEEE International Conference on Information Integration and Reuse, July 2014. Merit Award, University of Montana, 2010. Dissertation Year Fellowship, Florida International University, 2006. Outstanding Academic Performance Award, School of Computing & Information Sciences, Florida International University, 2006. Presidential Fellowship, Florida International University, 2006. Presidential Fellowship, Florida International University, 2005. The Best Student Research Award, School of Computer Science, Florida International University, 2004. Presidential Fellowship, Florida International University, 2004. The Outstanding Graduate GPA Award within the Field of Information and Technology, School of Computer Science, Florida International University, 2003. Secretary and Newsletter Editor: Technical Committee on Multimedia Computing, 2016. Treasurer: Technical Committee on Multimedia Computing, 2011-2016.